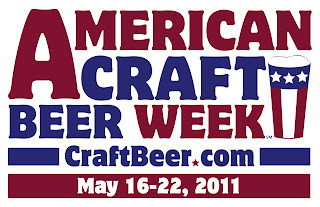 Monday marked the beginning the nationally recognized American Craft Beer Week (ACBW). At The Ferm, we celebrate for the third straight year this great and substantial week dedicated to all things craft beer. But we aren't the only ones celebrating. 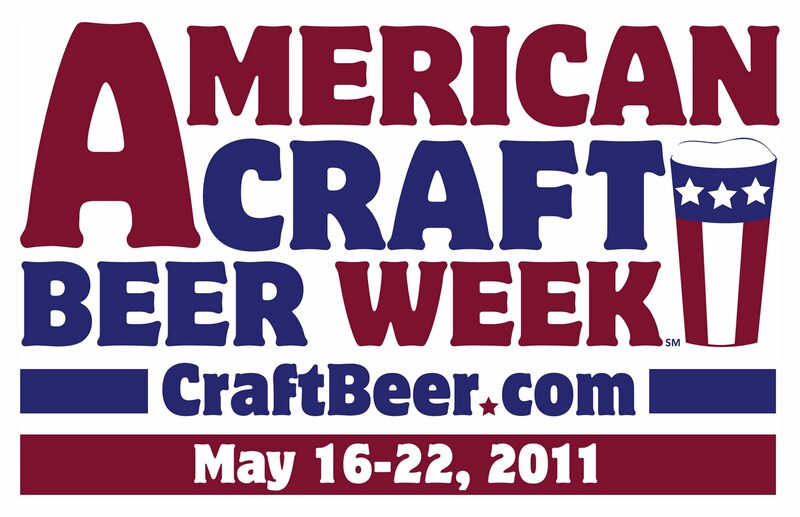 For the first time in ACBW's six-year history, official events are planned in each of the fifty states. The Brewers Association reports that the American craft beer landscape now boasts over 1,700 small and independent craft breweries (FACT! ), which is an all-time high. Not since Prohibition have so many breweries been in operation. With so many breweries, it makes sense that the theme of our Day 1 celebration be "Drink Local." The #SLGT concept (support local, grow together) is not new to me, but I will admit I have been slow to adopt its practices. Take Central Market for example; the best fruits, vegetables, meats, and seafood from around the World are flown in and available for me to buy throughout the year. The beer and wine sections are even more diverse. With the proper mindset, supporting sustainability, buying local, and taking down the mega-national-decepticon-beast (aka The Man) is an achievable objective. But when it comes to drinking local in Houston, TX, there are several caveats. First and foremost, modern day Houston has known only one craft brewery: the venerable Saint Arnold. Only in the last three years has the metropolitan area added Southern Star (Conroe, TX) to that list of one. But recently, we lost our only brewpub (corporate chain Two Rows), gained three start-ups (No Label, Karbach, Kreuz Creek), and – this just in – once again have our first brewpub (Freetail Houston). Among the breweries now in operation, only Saint Arnold and Southern Star package their beer for retail. So it was in the spirit of craft breweries, and more specifically local craft breweries, that I selected Independence Jasperilla Old Ale 2010 to celebrate day one of American Craft Beer Week. Let me explain. In 2004 my wife and I attended the now defunct Texas Craft Brewer's Festival (still my favorite beer festival held in Texas). Under one of the tents (and not serving beer) we met festival organizers, Rob and Amy Cartwright, who were starting a brewery themselves. Folks, one obvious way to support local businesses is to invest in them. Today we open a Jasperilla Old Ale to celebrate Independence Brewing Company's tremendous success and to kick off ACBW11. I sincerely hope in the coming years I'm toasting "the mother of all beer weeks" with a No Label Brewing Pale Horse or a Kreuz Creek Black Eye IPA. Hopefully there are eager craft beer enthusiasts like myself who are looking to score major cool points and free beers by helping a some start-up brewery succeed. "Brilliantly golden, Jasperilla is a unique take on an old ale. Biscuity malt flavors meld with subtle plum and berry notes, produced by a special blend of English Old Ale and Chico yeasts. Brewed once a year, and aged for six months prior to release, the Jasperilla is smooth despite its 9% ABV. We named this beer after our dog Jasper because he has brought so much joy to our lives. 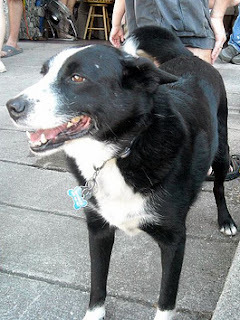 We got Jasper from a local dog rescue group called Mixed Breed Rescue. He has been a constant source of smiles and kept our spirits high through many late nights and long hours at the brewery. Jasperilla is so good and smooth that you'll beg like a dog for more, roll over for a belly rub, howl at the moon... you get the picture." In what now may be an ACBW annual tradition at The Ferm, I opened the latest Jasperilla release today. Last year I declared the 2009 vintage to be "the best Old Ale that I have ever tasted." Check that. 2010 is the best Old Ale that I've ever tasted. Soon after release, some of the previous vintages had some sharp flavors that ended up mellowing with age. However the dark fruit aroma, sweet malty notes, and boozy heat work very well together in this version. With 9+% ABV, this is no doubt an American interpretation of the style, but the heat is nicely disguised. It is hard to imagine this beer maturing and getting even better. It'll be even harder imaging how I'm going to keep any of these around for any length of time to test that suspicion. Independence has really hit their stride recently and is producing first class beers in a Texas market still starving for local beers. I'm proud to be an investor and to be able to call Rob and Amy friends. Success tastes very good. I'm sure they would agree. First look – Puppy on the bottle. This is going to be awesome. First sniff – Hops. Yummy. First taste – "This is what a beer should taste like!" It has deep flavors that stay in the back of your palate. If you let the beer roll around your mouth you can taste each of the key ingredients: Hops, (lots of) malt, yeast, and water. Despite its strength, the beer does not come off as too heavy and is very drinkable ice box cold or room temperature. Overall – A delicious and wonderful tasting beer. Starting with a beer from out great State of Texas to kick off the American Craft Beer Week was a stroke of genius (editor's note: what can I say?). Thanks SirRon! Texas Texas Yeehaw!